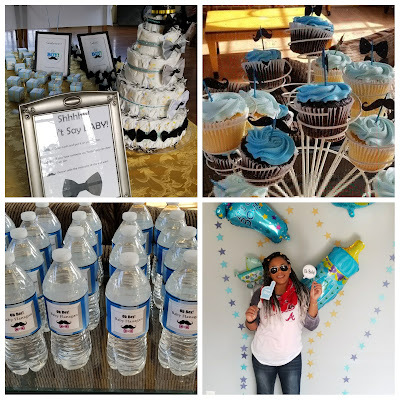 I was asked to cohost a baby shower for a friend, having never thrown a shower before I had to turn to Google. 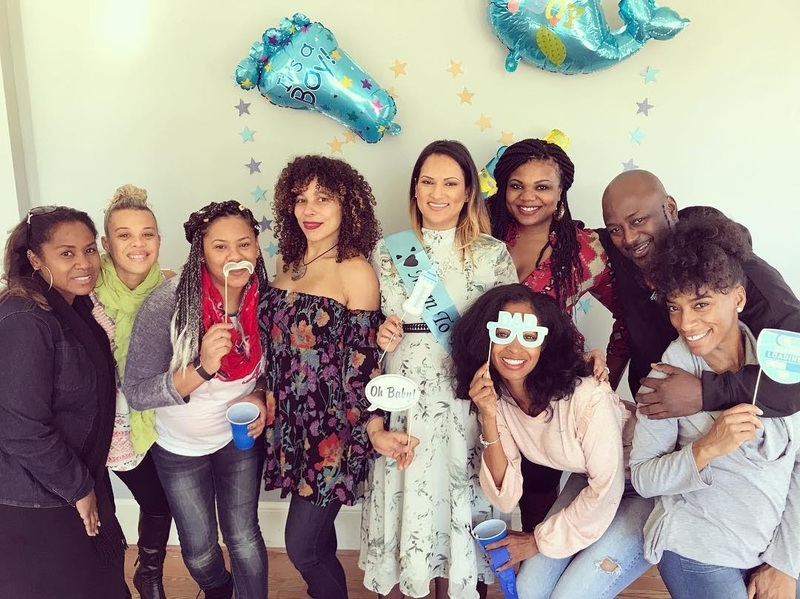 Dear Google: What’s real in the baby shower sKReets? Apparently baby showers are BIG DEALS, people literally spend THOUSANDS of $$$$ on them. I checked my bank account real quick and it said, "$0.19", so I knew I would have to get real creative and crafty as to not have the world’s most bootleg baby shower. 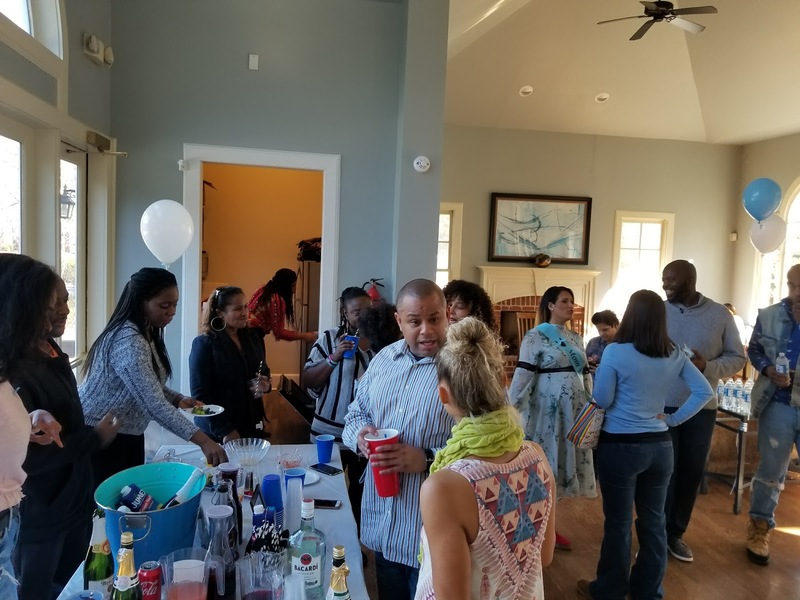 I say this quote all the time, “Necessity is the mother of invention”. I scoured the internet for ideas and then figured out how to recreate them at home for the low low. 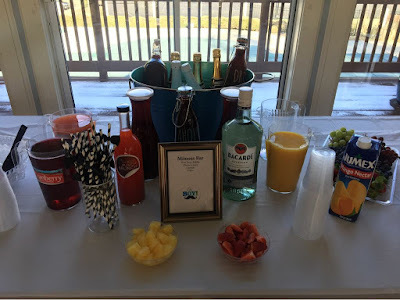 First we utilized a friends catering service www.instagram.com/cutechickscook and she gave us a nice deal on a simple brunch. I would have loved to have a custom 3 layer cake made, but those things cost a couple hundred $$$. 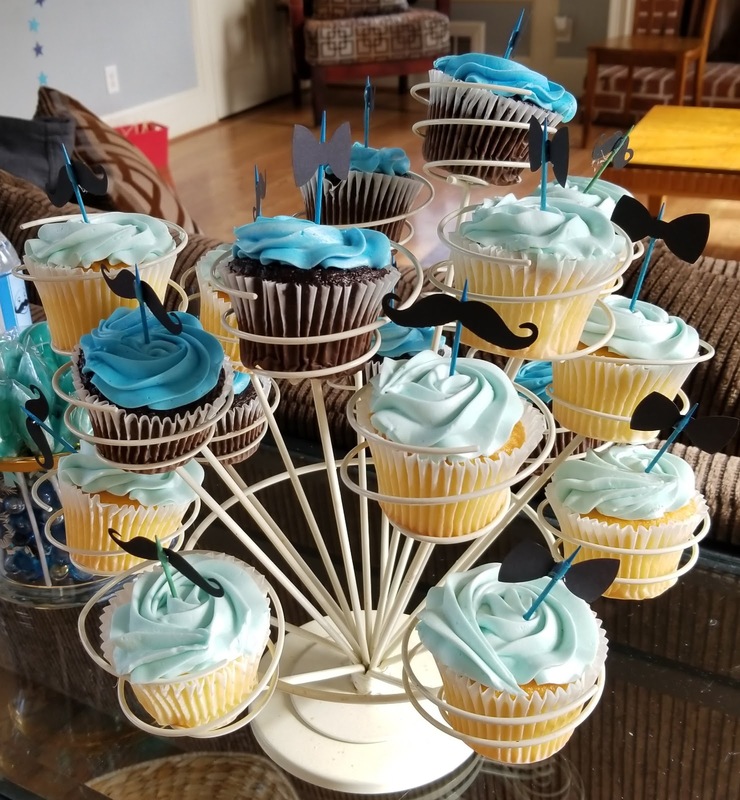 Instead I made a diaper cake for about $10. 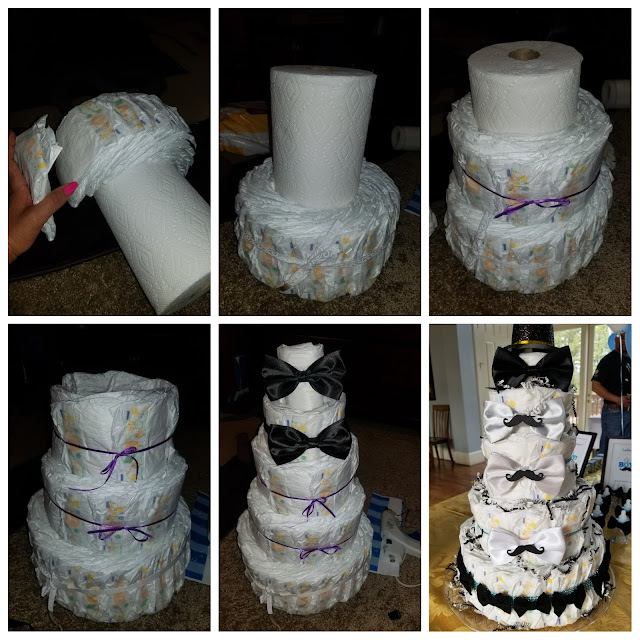 I’m not gonna lie, I stuck an entire roll of paper towels in the center of the diaper cake so that I would need less diapers and reduce the cost of materials. So instead of a cake, we went with 50 blue cupcakes from Publix ($33 BOOM), I then glued mustache and bowtie cut outs to tooth picks to be used as cupcake toppers. 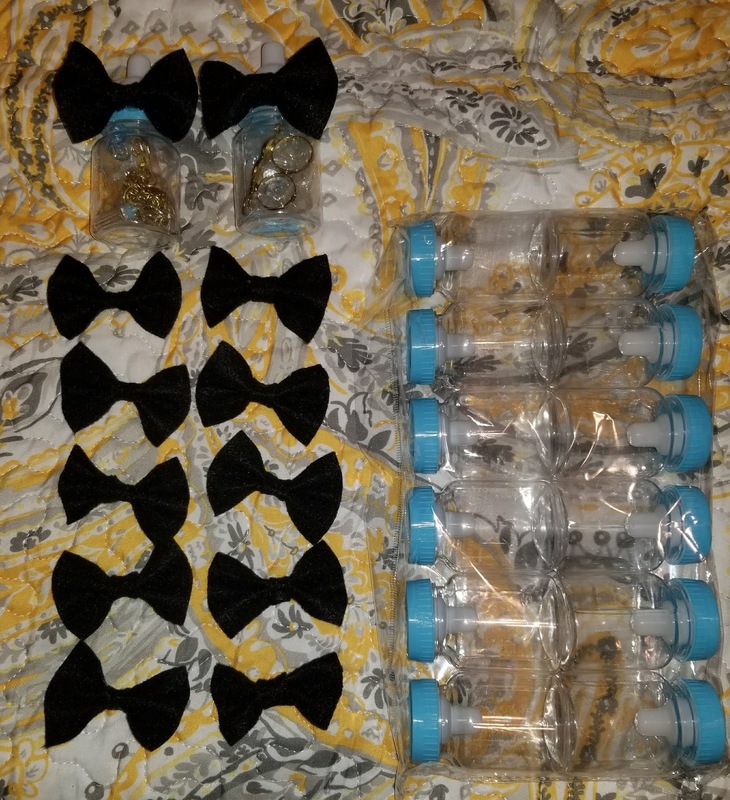 I thought bowtie and mustache straws would be fun too so I glued some of those as well. Paper/cardboard straws are cute, but they are tricky cause they start to disintegrate a after about an hour… oh well! 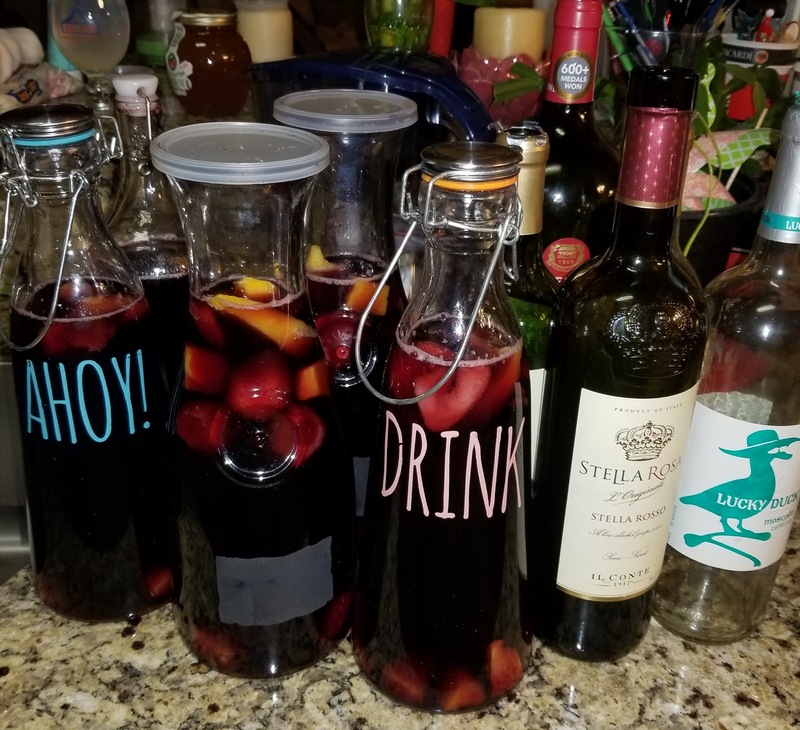 The budget didn’t allow for an extensive bar so instead I made several rum spiked batches of sangria with wine that had been left at my house from past partyz. The other planner brought mimosa supplies and we had a nice budget bar cause honestly liquor is the most important thing. 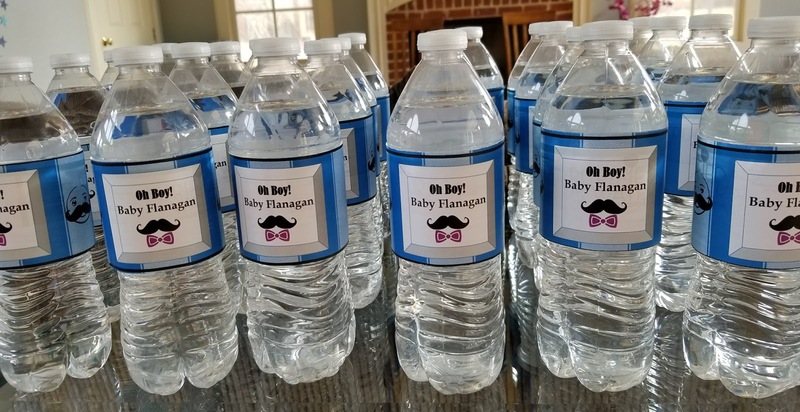 You can get 50 custom water bottle labels for $14.99 or you can open up Microsoft PowerPoint and make them yourself for $0.00. Took me several tries to find the perfect label. 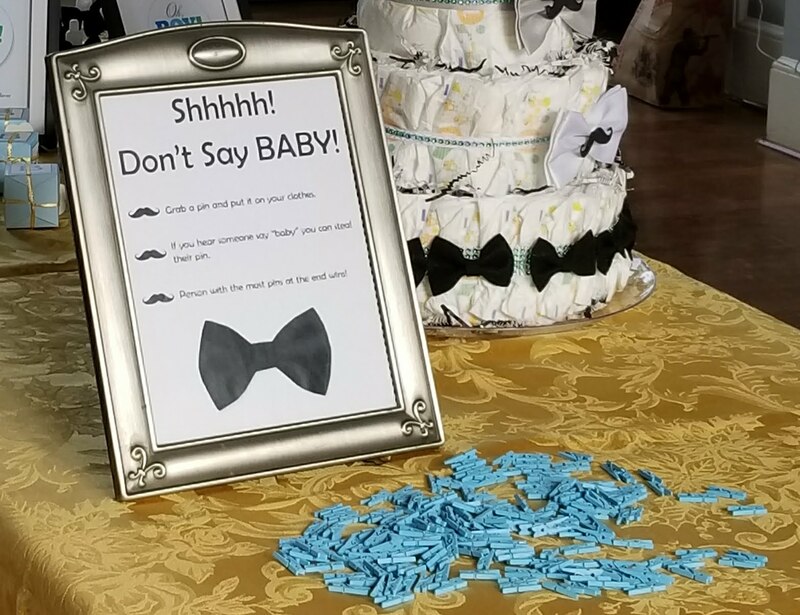 You can rent a fancy photo booth that has props and prints off your pix for about $250. I instead bought about $5 worth of props and made a little rinky dinky photo booth. 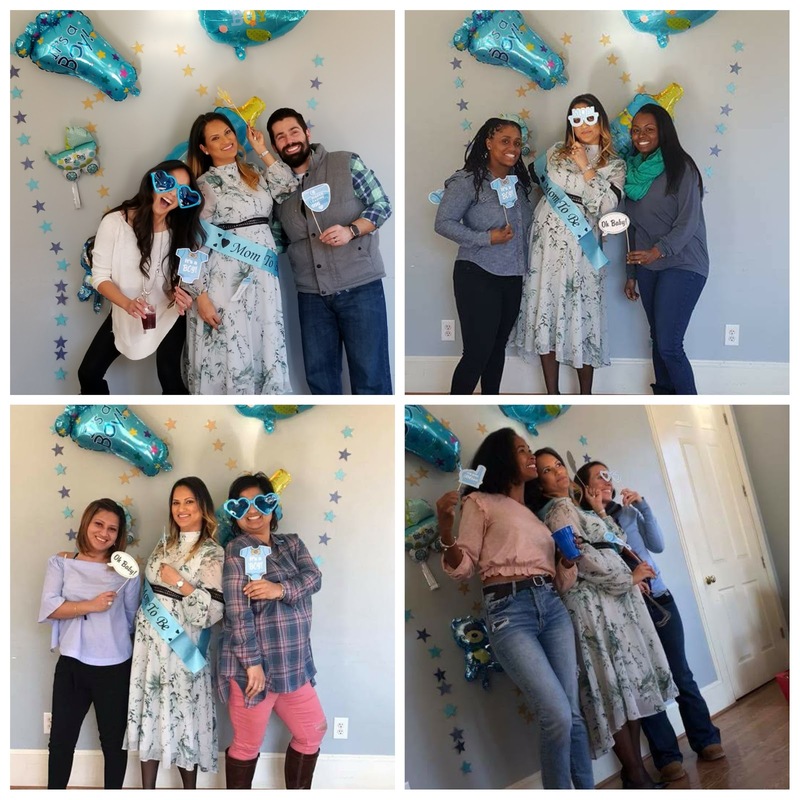 Nothing to write home about, but served its purpose cause we love photo ops. 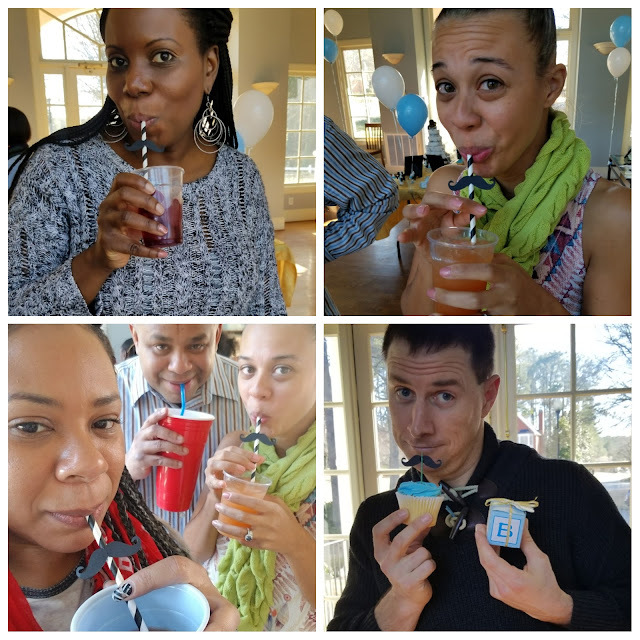 Baby shower games aren’t really my thing, I prefer to drink quietly in the corner. 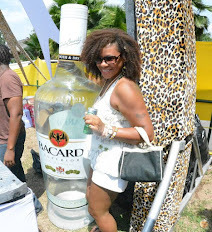 I slacked on the games and for that I apologize. 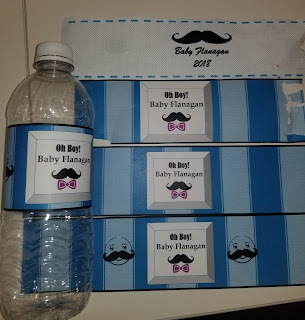 We only played two games (1) Guess momma’s tummy size (2) Don’t Say Baby and for both the price was a cheap set of shot glass that I found at Ross. 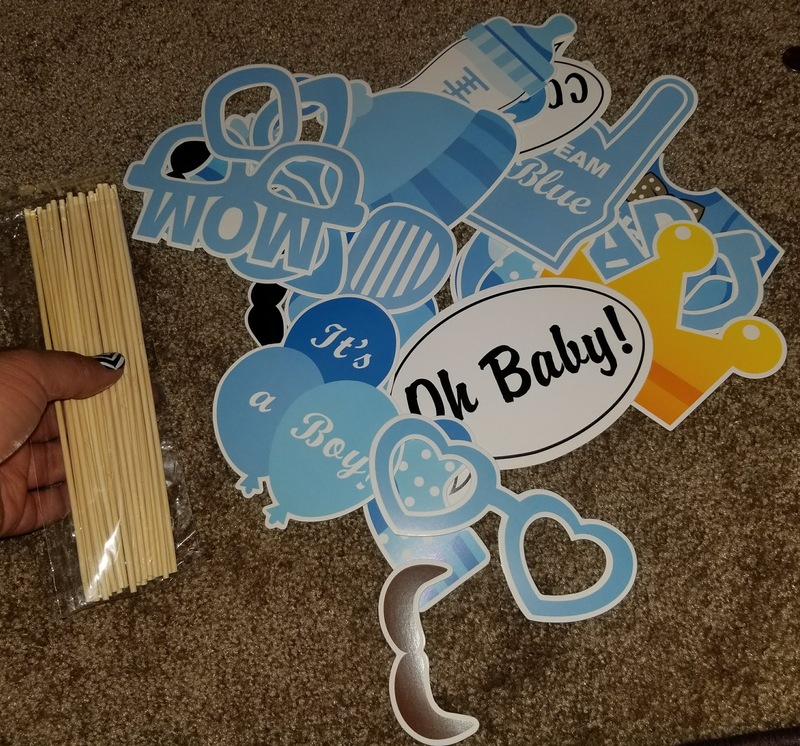 That store is life, on the way to the register I even found some blue lollipops that went with the theme. #WINNING! Party favors for the guests: I got bowties for the gentlemen for the low low from ebay and maneuvered them into gift boxes. For the ladies I got mustache and bowtie jewelry for the low low also from eBay, made bowties from black felt and glued them onto some cute little baby bottles.… you can probably tell that I spend a tremendous amount of time surfing eBay for deals. 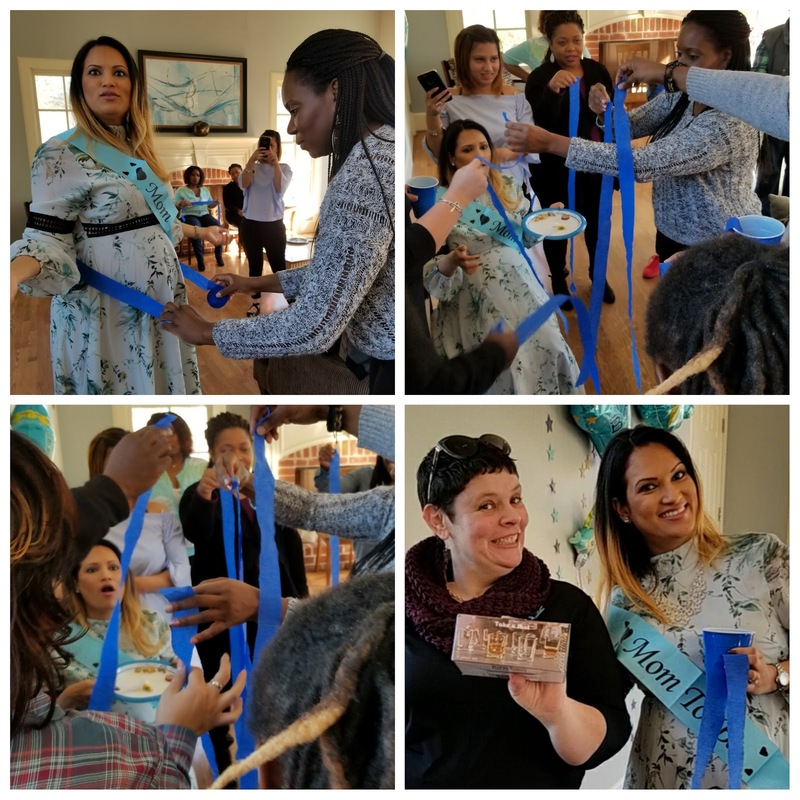 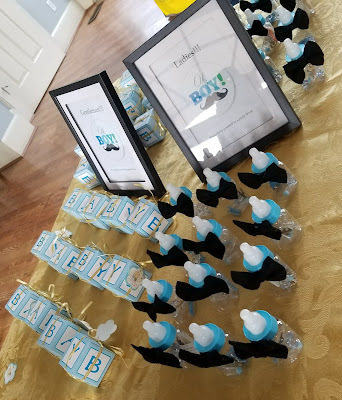 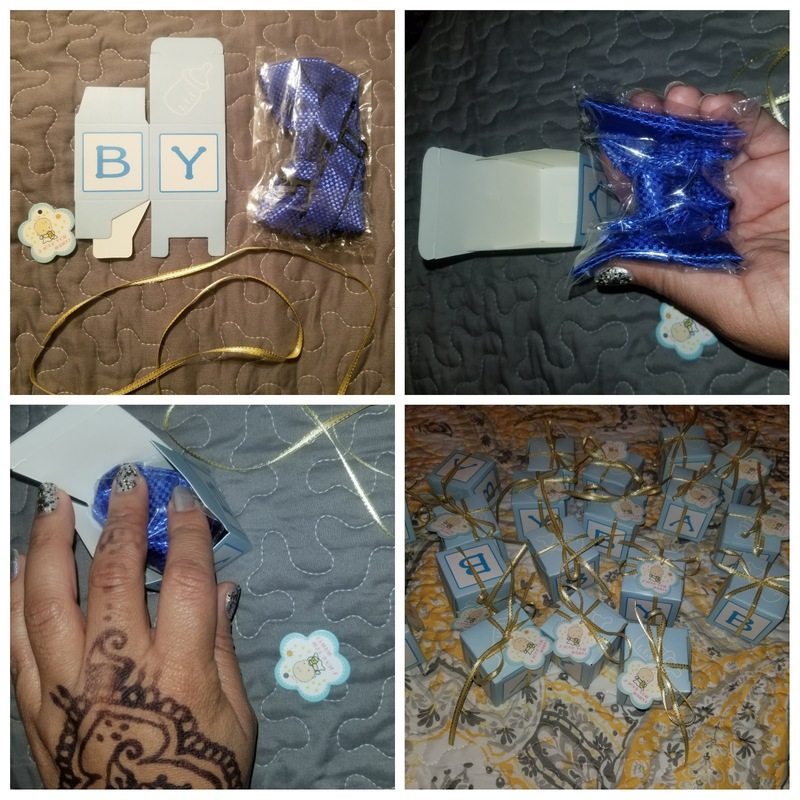 And there you have it my friends, a very low budget baby shower for those of us that cant blow thousands on the big event.